I get a lot of questions form people who say “I cant do P90X”. A lot of people see the infomercial and are automatically turned off because they think there is no way in hell that they are going to be able to do all those pull-ups and push-ups. The pull-ups are probably the biggest reason people say I cant do P90X though. The truth is that anyone can do P90X. 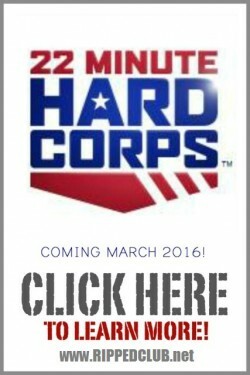 Anyone can pop in the dvd and press play, but its more about what you do with that 1 hour that counts. The reason most people think they cant do P90X is because they see the infomercial where Tony and friends are busting out 20 different kinds of pull-ups without any effort. How on earth could I expect to complete a program like that when I can barely to a single pull-up myself? I have talked about this at length in other posts, but I want to talk to those who are on the fence about giving P90X a shot. You are going to have to come to terms with the fact that you will not be able to keep up with the folks in the videos. Thats just the truth. 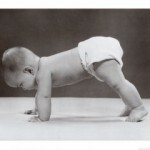 They have been doing P90X a lot longer than you and have the results and abilities to show for it. But dont let that get you down. You can get just as good of a workout by modifying each move to suite your current ability. When I started P90X, I said to myself “I cant do P90X, but I cant stay where I’m at either…” That needs to be your attitude as well. I have developed some resources that will show you how you can go from where you are now with your current fitness level, and modify the moves in order to get where you want to be! Coach Todd’s Pull-Up Tips – These exact tips took me from being able to do just one single week sauce pull-up, to being able to do 20 and more. Coach Todd’s Push-up Tips – These tips will help you learn how to modify and still get an awesome workout. I have heard it all and you cant fool me. I have been where you are so I know that you can do P90X. I was 60lbs overweight and in the worst shape of my life, but I took back control and was determined to make a change. Sure I looked like a fool at times during my workouts…like a fish out of water, but i pushed on anyway because I had to change! Your insecurity about not being able to do all the moves, or be able to keep up with the video are just excuses…I know you can do it, so just do it! Press pause if you need to. You cant live in fear of not succeeding and unless you take matters into your own hands, take a risk (if you can call getting healthy a risk…) and just start pushing play. So long as you do your best and forget the rest, then eventually you are going to reach your goal and be in the best shape you have ever been in. But step one is changing the “I cant do P90X” attitude. 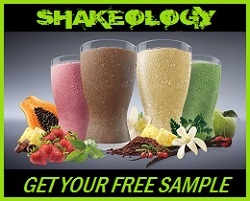 Get that taken care of now and take it from someone who has lost 60lbs and looked like an idiot on day-1 of P90X – you’re health is worth it! I have plenty of people on our RIPPEDCLUB team who started out their journey at over 300lbs and are having plenty of success with P90X. 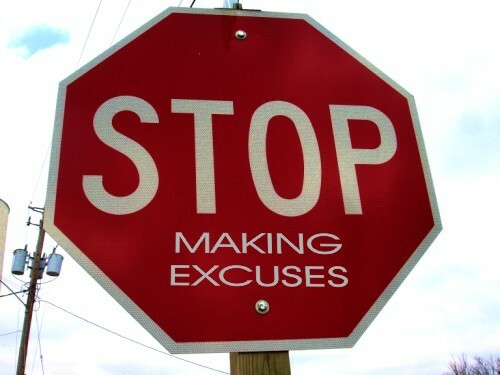 There really is no excuse unless you are in a coma or paralyzed from the neck down. I know guys in wheelchairs who do P90X. I know people with MS who do P90X. I know people who have never thought that they would ever be able to do a pull-up in their life – finally emailing me and telling me that they did their very first pull-up. You just have to want it bad enough. 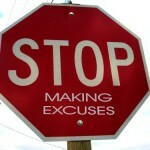 Lose the excuses, get in the game, and take charge of your health. Never again say “I cant do P90X” because you wont get any sympathy from me…Because I know you CAN do it! Be sure to like and share this post if you have overcome this attitude or are struggling with it right now. You guys aren’t alone in this battle! Click Here to join RIPPEDCLUB for FREE and get the support you need! Should I Do P90X2 Before P90X3? Hey coach Todd, I just requested the switch to you as my coach.I was wondering if you had a RippedClub group on Teambeachbody. Okay, I am going to be 50 this year in September. I have bad ankles which eventually will need surgery. My BF is over 30%. 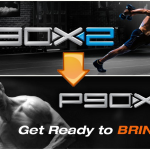 I tried P90X a couple of years ago, but the plyo and impact exercises really put me in a lot of pain. I want to do Body Beast but everyone I have talked to says that I need to get my BF to under 20%. What do you think would be the best road for me to take? Can I really do P90X?